Whether you’re nursing or bottle-feeding your babies, having a comfy place for them to lay on and for you to rest your arms on is imperative. The nice thing about these is that they’re also great for setting babies down on the floor, or only able to hold one for whatever reason. We used ours SO much! 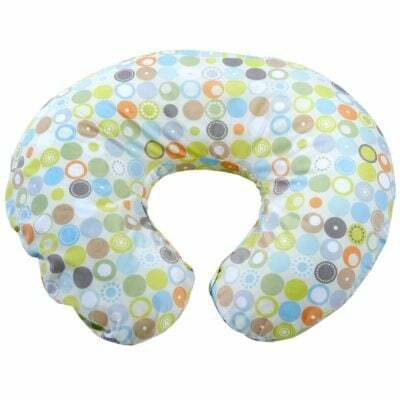 They also make a pillow similar to the Boppy that’s specific for feeding twins, called My Brest Friend Twins Deluxe Nursing Pillow. I never used it, but I also bottle fed my babies, and I found it easier to use separate pillows. If you plan on nursing, the one made for twins might be easier for you!